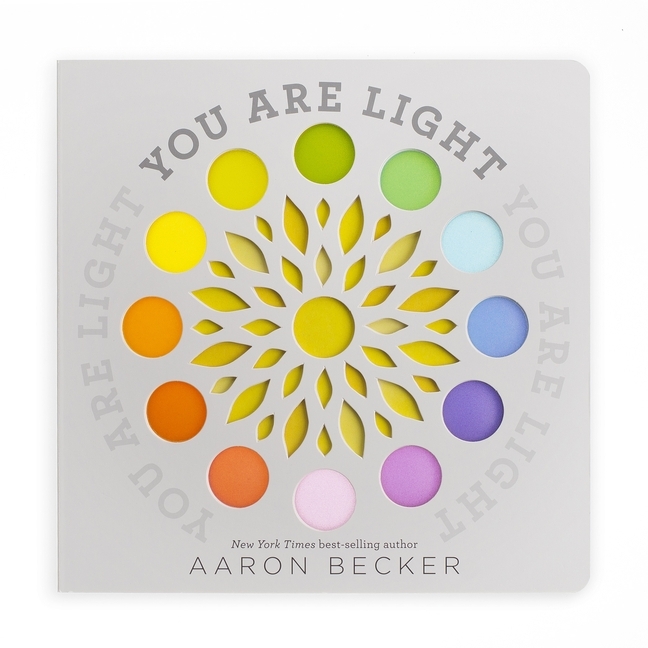 Hopefully you know Aaron Becker from his entrancing, wordless trilogy of picture books, Journey, Quest and Return. 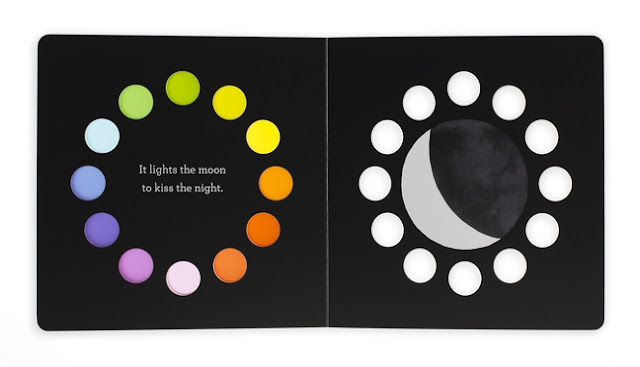 Now, from this creative mind comes a board book that is not just for babies. 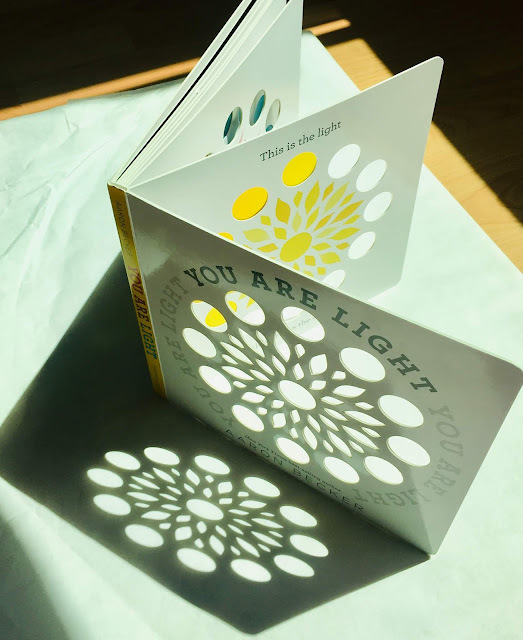 YOU ARE LIGHT is a marvel. Impossible to put down, the book itself draws readers to the light, curious to see how it shines through the pages. When the light has faded and you are ready to read, Becker's poetic text will once again connect readers to the natural world. 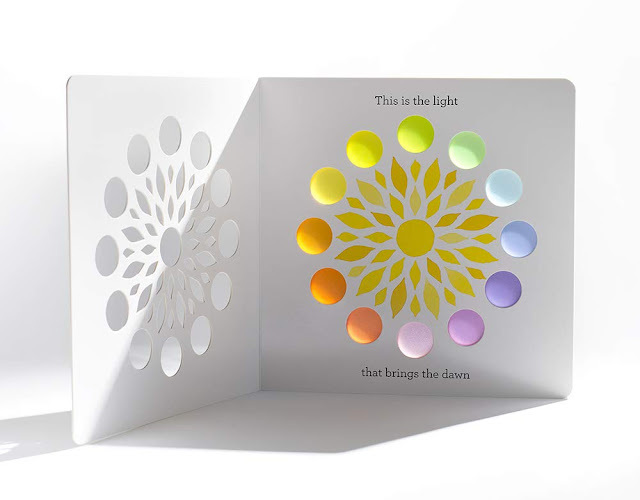 A few words on each page, partnered with stylized symbols floating in the center of the twelve die-cut holes filled with translucent, colored panes, walk readers through the world. From the "light that brings the dawn to warm the sky and hug the land," to the light that sips the sea to make the rain, "which waters the wheat and grows the grain," Becker's words are lyrically gentle. Becker ends, most beautifully, with, "This is you. 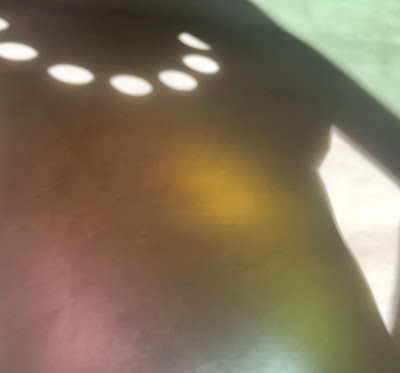 And you are light." YOU ARE LIGHT is a wonder - a synergistic pairing of words and images, taken to the next level by the use of die-cuts. It is also a book readers will never forget.